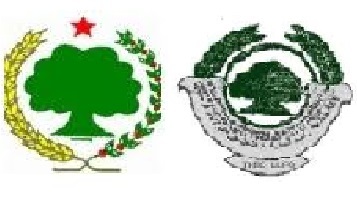 Foreign assistance from foreign countries near and far has helped the Tigirean People’s Liberation Front (TPLF) government of Ethiopia to stay in power unjustly for the last 25 years. 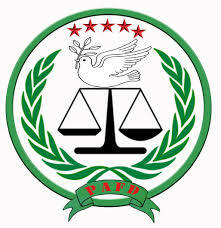 Unintentional or intentional, foreign assistance provided to Ethiopia, has made it difficult for the peoples of Ethiopia to free themselves from the imposed orders of the anti-democracy and anti-human rights TPLF regime of Ethiopia. 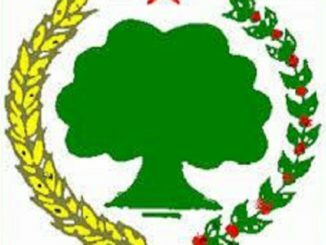 Because of the current popular uprisings in many parts of the country, the TPLF Ethiopian regime is hysterically paranoid, desperate and callous. In the same way the regime has been protecting its power by force and by begging for foreign support. Now the regime is attempting to enlist the help of neighboring and distant states to save itself from collapsing or to prolong its life. The TPLF regime is using its experience of begging for food handouts also plan to stay in power by soliciting foreign assistance in order to weaken domestic protests, armed and unarmed oppositions. 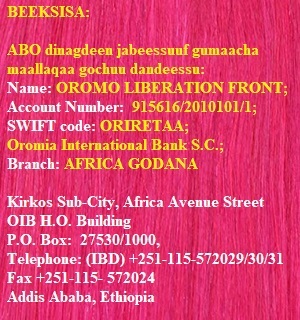 By responding to the sinister invitation from the Ethiopian regime, the Kenyan government has agreed to provide military support and has ordered a joint military operation against the Oromo Liberation Army of Southern Zone. Holding Kenya and the sovereignty of Kenya in contempt, the TPLF regime of Ethiopia has crossed borders into Kenya several times and has been inflicting massive damage on Kenyan citizens under the pretext of searching for OLF/OLA. The crimes Ethiopia’s TPLF army is committing in Kenya include, massacre of the Turkana people, abduction and refoulement of Oromo refugees by interfering and infiltrating Kenyan policy and security operatives. Some Kenyan police fulfilled the wishes of Ethiopian government by letting it avoid responsibility for engaging in wanton criminal activities. The fact that the Kenyan government is entering into alliance once again with the Ethiopian regime by ignoring Ethiopia recurrent attacks against Kenyan civilians will make Kenyan people lose their respect and trust for their own government, which is continuously being treated as a puppet for Ethiopia dictatorship. Fulfilling the interests of the Ethiopian government at the expense of Kenyan interest amounts to complicity in the crimes against humanity being committed by TPLF regime inside Ethiopia and in Kenya’s own territory. Like many failed joint past campaigns, there is no doubt that this campaign is also going to fail again. 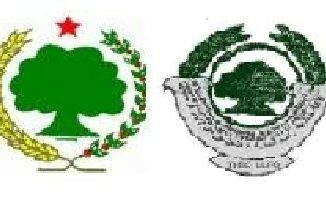 We believe that it’s clear to everyone at this juncture that as long as the Oromo questions of bilisummaa (freedom) are not answered, the Oromo liberation struggle will not be contained.